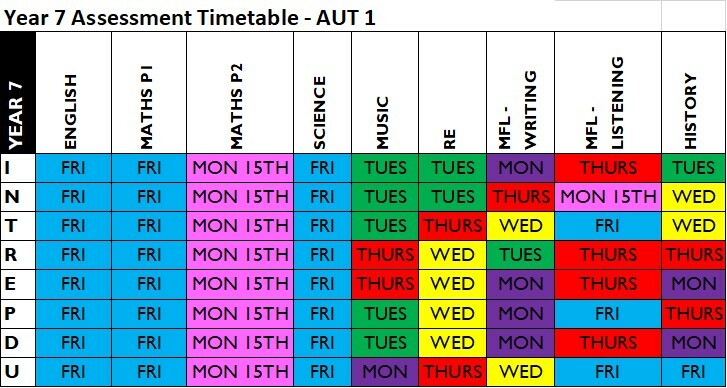 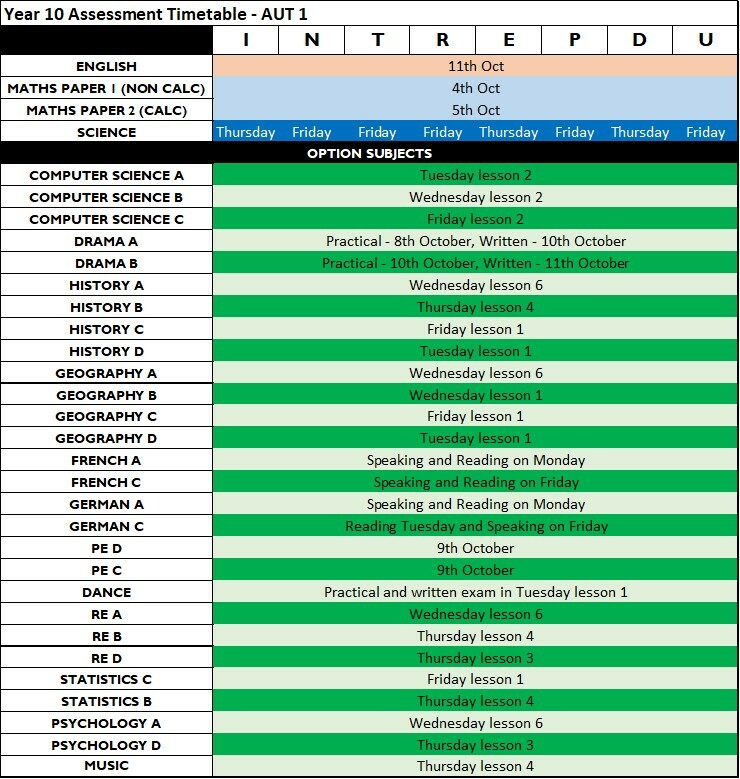 The exam timetables are provided below for parent reference. 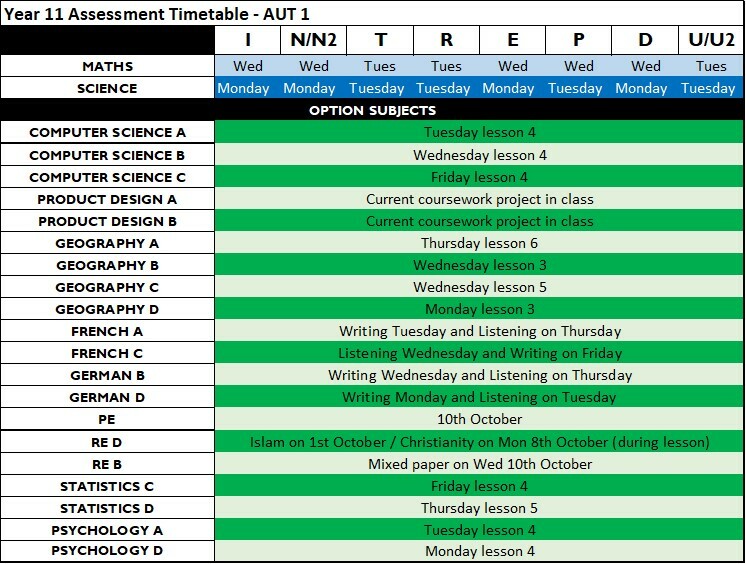 The key stage 3 and 4 autumn 1 assessment week takes place from Monday 8th October to Friday 12th October. 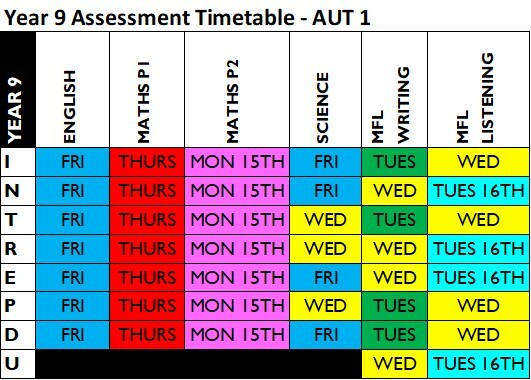 Please note that some assessments will take place the following week. 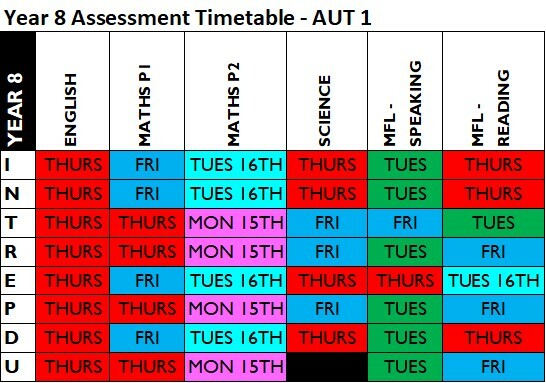 For more information on the assessment cycle, please visit our assessment page.